Many successful companies would not have existed today if it were not for the seed capital provided to founders by business angels. Not many young entrepreneurs have the financial means to kick-start their new business successfully without monetary assistance. You may think of applying for a small business loan from a commercial bank or a private lending institution but where do you go when you fail to secure a substantial amount for these two institutions? This is where angels step in to help aspiring entrepreneurs realize their full potential and start their very own business. In this article, we will shed light on everything you must know about business angels; from 1) who they are, 2) how business angels help aspiring entrepreneurs to 3) the traits that help in identifying good business angels. Angel investors also known as business angels are those individuals who come from an affluent background and have enough financial means to provide startup capital to aspiring entrepreneurs often for a piece of the pie in return once the business is well established. Business angels usually pay a significant amount of money upfront so that it can be used to turn a ludicrous business idea into a reality. Now a question may pop up in your mind that ‘what’s in it for them?’ Well mostly, business angels usually invest in a great business in exchange for either ownership equity or convertible debt. By far, angel investing is one of the most important sources for investment in start-up businesses. In layman terms, angel investing is equity finance meaning a business angel uses his disposable income to provide adequate funding to a business if he or she sees the potential for a business to go a long way in the future. A business angel will most likely take shares in the business in exchange for providing equity finance. But that is not all; angels not only inject seed capital into the business but also bring their expertise, knowledge, experience and skills to the table in order to help the new entrepreneur in making his business venture grow. Usually, angels expect a return on investment over a span of 3-8 years. Angel investors also take the active part in the decision-making the process of running the business and usually secure a position as one of the board members of the company. You may find many individual angel investors but how do you know whether the one you have approached is a good business angel or not? Working with business angels is truly a one of a kind experience because they bring a lot more to the table than just seed capital. They bring with them their expertise, strong connections, skills and experience that may help you in your quest for making your business venture grow exponentially. Here are some of the unmistakable characteristics of good angel investors that set them apart from the rest in the angel funding market. Trustworthy. Finding a trustworthy angel investor is critical because you do not want someone who may create problems for you and your business later by using the privileged information against you. Angel funding is more like a two-way street; it is important for the angel investor as well as the entrepreneur to be trustworthy and reliable. Find a business angel that you can rely on not only for monetary assistance but for guidance and knowledge too. A good business angel is the one who will invest in you and your team not only in your company. These are the kind of angels who focus on building a relationship with other investors and organizations. They also look forward to working with you in the long term as well. Good Decision Making Skills. Seasoned business angels don’t wait too long to dig into the nitty-gritty details when making a decision. They have an eye for talent, and if they see potential in you and your vision, they will make a swift decision and invest in your company right away. The best angel investors are those who take decisions based on the present situation and give their verdict straight away instead of making the entrepreneur go through a nail biting wait only to turn him down later. This not only slows down the fundraising process, but it is time-consuming too. Look for an angel whose primary goal is to help you kick start your business venture and make you successful instead of anticipating their share of benefits from helping you grow. High Integrity and Collegiality. A good business angel is collegial that is, he looks forward to working in a cooperative work environment alongside other employees. This is the kind of winning attitude that you should look for in an angel investor because he will invest his time to help you develop your business by bringing in his experience, knowledge and skills to the table. Such business angels are high on integrity and most importantly, want to act as mentors for budding entrepreneurs who want to become successful in the corporate world. Collegiality often translates into the angel securing a seat as one of the Board of Directors of your company. Supporting and Challenging Entrepreneurs. Consider yourself lucky if you have an angel on board who is a successful entrepreneur himself because they have experienced it all. Such investors are fully aware of what it takes to develop a successful business and the challenges that your company will have to face in the initial stages. They know about the highs and lows that a new business venture has to undergo in the corporate world before tasting success. These are the investors who will push you and challenge you every step of the way and offer you suggestions when needed so as to make you grow as an entrepreneur during this whole journey of building a successful company. Good business angels are those who are very supportive of the entrepreneurs so much so that they will willingly roll up their sleeves or pick up the phone to help them in problematic situations. Patience. When it comes to angel investors, having patience is truly a virtue. A patient business angel understands the dynamics of business and understands that the profits do not start rolling in overnight. They do not think short term but instead they have the ability to visualize the bigger picture in terms of the company’s future. You would want an angel who is relaxed and calm; not someone who is jittery and scared of challenges. Although it is hardly normal for one to remain calm when they have invested an enormous sum of money in a new startup, it is important to go with the flow and understand that new business startups face fantastic highs and threatening lows because key people leave when the going gets tough and competitors grow in numbers by the minute. But an enlightened angel will remain calm and find comfort in the fact that all new companies have to struggle in the initial years until they become stable. Enjoys Being an Angel. There is a common misconception that angel investors only want to enjoy the benefits of investing their top dollar in your business in its initial stages so they can get 7 dollars out of it when the venture is successful. It is true that if you make money, they make money and if you don’t, they don’t but that is not how most business angels think. There are many highly successful individual business angels who are in it for the thrill of starting a new company including challenging situations, mentoring the aspiring entrepreneur and watch him become successful right before their eyes. Business angels are addicted to the thrill and adrenaline rush they get from tasting success again and again by investing in different startups. Risk Takers. No one can guarantee the success of a business venture right from the start. You may have a brilliant business idea, but there are several factors that may lead to failure. 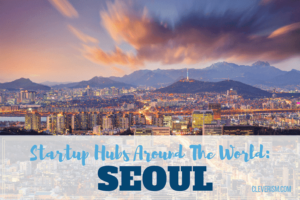 It is important for you to find an angel who is willing to take calculated risks and work with budding entrepreneurs who have no experience of running a new company. A business angel must be ready to mentor a new promising entrepreneur and help him achieve his goals by constantly coaching him and helping him every step of the way. For most aspiring entrepreneurs, the process of angel funding for growing companies seems like a mysterious process since they are not sure of what exactly the angels are looking for. Take a look at what drives business angels to invest in a business idea pitched to them by a promising new entrepreneur. Following the Principle of Diversity. They never tell you to put all your eggs in one basket, but this statement has never been truer for angel funding. Angel investors follow the principle of diversity when it comes to making hefty investments because they understand that no two business ventures work on the same dynamics. Business angels understand that there are multiple paths to success and thinking out of the box is what impresses them. However, they do have their investment strategy that they use to make profitable investments in different companies by evaluating the potential of how far the business venture can go in the future. Angels are highly driven people who are fully aware of the pros and cons of investing in a particular business; simply put, they know when to seize an opportunity and when to walk away. Eye for Talent. You may not have years of experience in running a business but if an angel thinks that you are talented, you’ve got it made because they invest in people and not companies. They believe that if an entrepreneur is persevering, talented and committed to making his business venture reach new heights, he will become a successful entrepreneur by modifying the business model. Believing That It Matters. Angel investors are always more likely to extend support to a business venture with a cause. When pitching your business idea to potential investors, you want to tell him how you came up with the idea and thought of turning it into a business because investors are always looking to invest in an idea that is authentic and genuine. An angel investor may just walk away if he comes across a ‘me too’ business opportunity. Engaged in Ventures. As discussed above, most of the business angels who invest money in new startups want more than just equity shares of the company. They want to help the entrepreneur in every way they can and wish to actively participate in handling the different aspects of running a business. For instance, it may come to you as a surprise when a business angel offers to assist you in screening, referrals, board governance, and coaching rather than just providing monetary support. Rely On Due Diligence. Before making any commitments or signing a contract, a seasoned business angel will follow the due diligence process. A due diligence report is a legal and voluntary investigation that is carried out prior to funding any new startup so as to mitigate the risk of fraud and other unfavorable circumstances. The due diligence report also works in the favor of the entrepreneur because it helps him gain a full insight on the local playing field in order to become a market leader by devising meaningful strategies accordingly. Teachable. When angels say they prefer to commit to founders who are teachable, they look forward to working with someone who is open to suggestions, new ideas and willing to make changes in their business idea if needed. Founders who are too rigid are sometimes not considered by angels as compared to those who are ready to listen, learn and improve. Strong Networker. Strong networks are highly sought after by business angels because they are more likely to build long-term relationship with their investors. Founders who bring in others on board to handle different aspects of running a business smoothly are preferred by business angels. The reason strong networkers have more potent chances of securing angel funding is because they are team builders who play well with others. They also add value to the business venture by reaching out to other angel investors via accredited platforms and angel groups. Business angels extend full support to the entrepreneurs to turn a new business venture into a great success. Here are three ways how businesses angels become a source of support for new entrepreneurs who are kick starting a new business venture. Relationship Builders Not Money Makers. It is only but natural to think that business angels would be more concerned regarding business operations since their money is on the line. But that is not exactly true. As discuss above, relationship building is an important aspect securing angel funding. Angel investors are always ready to help a new promising entrepreneur by extending full monetary and advisory support to them so that the company is run smoothly in the initial stages. Respect for Time. When it comes to running a profitable company, angels fully understand that time is money. They understand how important it is to devote a significant amount of time, energy, and resources for a company to become stable in its initial years. Therefore, the best angels will treat the time you give them with respect and won’t bother you unnecessarily. Involved In the Venture. The best business angels will always try to do everything they possibly can to facilitate the entrepreneur and ensure smooth sailing of the business venture right from the start. They will help you with hiring new people to bringing new venture capitalists on board to handling mundane everyday tasks like accounting, reporting, board governance, etc. But that’s not all; some angels will go out of the way to assist you by offering sound advice on brand management, networking, product strategies, etc. Great Mentors. Good business angels make great mentors. Since most angels have once been in the same shoes as the new entrepreneurs today, they are able to coach the entire team on how they can achieve success and make it big the jackpot in the corporate world. They also help them understand issues related to business ethics and how they can be resolved by implementing the best business practices. Strong Expertise. Another reason having a good angel by your side is that they have the right skill set that is required to take a new business venture to great heights. Often, good business angels help aspiring entrepreneurs understand the unwritten rules of making it big in the corporate world using the right strategies for marketing their product by achieving customer excellence and good credibility. Seasoned angel investors are focused on the progress of the company which is why they also assist new entrepreneurs in calculating ROI and predicting new trends; thanks to their strong expertise in the field. Now that you know everything about business angels; from what impresses them to all the traits that make great business angels, you will now be able to tell the difference and be able to secure funding from the right business angel who will help you in all your endeavors to make your new company a great success. 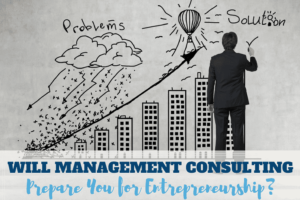 Will Management Consulting Prepare You for Entrepreneurship?